Are you looking to create an awesome explainer video? One that will educate, engage and excite your viewers? Then you’ve come to the right place. Here at Moovly, we are big fans of explainer videos and have put together this blog to help you create the perfect video animation! Explainer videos are typically short videos that tell a company’s story or explain their products and services. Although you can find various explainer videos created from digital drawings, hand drawings or live action, the majority of explainer videos tend to be animated. Explainer videos usually have one purpose; to demonstrate who you are and what you offer in a straightforward and efficient manner. Check out this animated explainer video below which explains the water cycle. More often than not, having an explainer video on a company’s landing page can help increase conversion from that page. Almost a third of the viewers will click to watch the video, and almost half will continue watching the explainer video till the end. Want to learn an incredible fact? 85% of people are more likely to buy a product once they see an explainer video! Website’s that contain just text and images can sometimes scare customers away. No company wants that! Customers would like to understand what you do in an efficient way and proceed from there. Google will rank your website higher when you have a video attached. In fact, your website is 53x more likely to rank on Google first page if you have a video. If Google approves, that must be saying something! A great script is the backbone of any explainer video. After all, an explainer video is a summarized video on how your brand, product or service works. 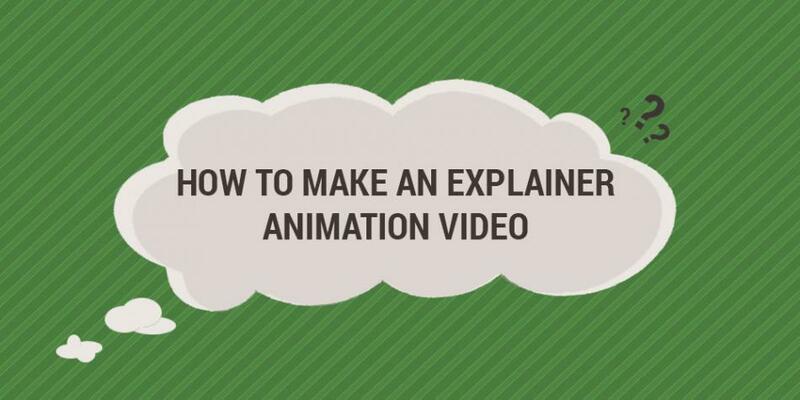 Your animated video script needs to explain in a way that is easy to understand. The hard part is keeping your script as brief and informative as possible. Start by brainstorming. We suggest making a creative brief, which will help identify who your audience is, the goals of your explainer video and what you want the key takeaway to be. Check out our previous blog to find out how to write a killer script. As a rough guide, if your explainer video is 30 seconds, aim to have 85 words. If your video is 60 seconds have 160 words and if 90 seconds have no more than 230 words. Finding the perfect balance is key! Choosing an animation style goes further than just deciding how you want your explainer video to look. In essence, selecting an animation style can set the right tone throughout your video. At Moovly, we have four animation styles that you can use for your explainer video. The right style can take you a mile! This popular whiteboard style library is for many companies the perfect style to help promote their business. Home to a vast range of sleek animation assets that can set the ideal scene to your video animation. The Clean Graphics style is your best choice if you want to add that visual and modern touch to your video animation. With over 100 outstanding elements to build and support your story. Offering a wide variety of fun characters with unique styles and skin tones for you to choose from. Another explainer video favorite is the Infographic Style, which is the style used in the Moovly video above. Infographic styles usually give off a more professional and corporate feel than the other styles. Still not found a style that fits your story? Then search the more than 500,000 assets of the VideoBlocks library, with tons of illustrations, stock photos, graphical objects, motion graphics and stock videos! 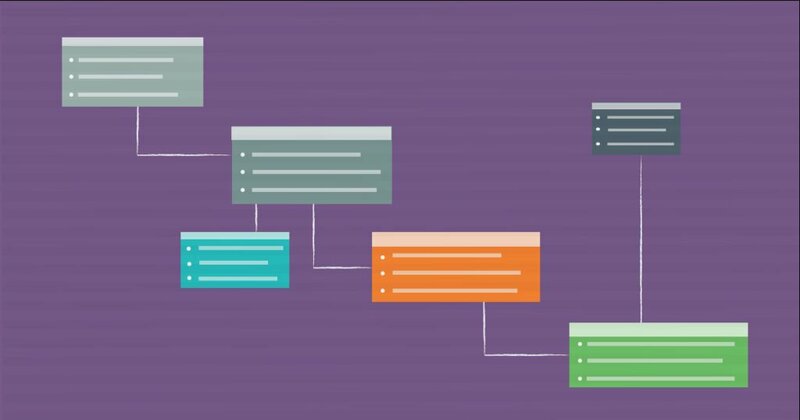 Time to create your explainer animations. Unlike in other animated videos, explainer videos tend to follow a “less is better” approach. When explaining your product, service or brand, you want to project your information in a simple, friendly and a memorable way. Having various animations, jumping from all four corners of your screen can actually be more damaging and distract the viewers from your message. As a general rule, keep your animations simple, clever and fun! Once you have all your animations in place, the next step is to add any voiceover and music tracks to your video. For those of you looking to add a voice over, make sure the quality of your recorded work sounds professional. When speaking, make sure that the script is read in a clear and steady manner. There’s no point in adding a voiceover which cannot be interpreted! Adding music can be a tricky task. What music track compliments your business? What song is going to set the mood? Not to worry, check out our previous blog which will help you identify the right track for your explainer video! The whole point of creating your explainer video is to share it with the people who matter and need it most. That said, once you’ve combined all of the above elements to create the perfect explainer video, why not share it and get your message across? Use the power of video to tell a captivating story and communicate your vision. We have designed a unique Moovly User Gallery which allows you to share your videos and embed them onto other websites! You can read more about it here. Of course, you need to to have a platform to create your explainer video. That’s where Moovly enters the equation. You can sign up here for your free trial and get started on your animated explainer video right away. PreviousPrevious post:Beursnotering Gentse start-up Moovly dé kans op doorbraakNextNext post:Animated video vs Live action video: Which one should you choose?